Sarasota Massage - Mending Hands - Melissa Finley - SRQ 34239: Can Massage Therapy Help Smokers Put Down the Cigarettes? Can Massage Therapy Help Smokers Put Down the Cigarettes? A massage session room might smell lightly of rose or lavender, as an aromatherapy blend or candle wafts its fragrance through the room. But if a client is a smoker, that sweet scent could be usurped by the smell of nicotine. The good news is massage therapy can lessen the anxiety that could be driving the client to smoke. 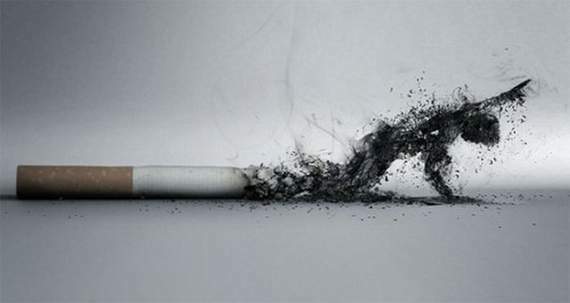 According to new research published in the journal Addiction, smoking and anxiety disorders are directly linked. The study, conducted by the University of Wisconsin Center for Tobacco Research and Intervention, offered free coaching and medications to smokers in Madison and Milwaukee, Wisconsin. Anxiety diagnoses were very common among participants; more than a third of them met criteria for at least one anxiety diagnosis in their lifetime. Out of all 1,504 study participants, 455 had had a panic attack in the past, 199 social anxiety disorder, and 99 generalized anxiety disorder (some reported having more than one diagnoses). Other research has shown that up to 25 percent of the more than 50 million smokers in the U.S. had at least one anxiety disorder in their lifetime. Lead author Megan Piper says it surprised her that the nicotine lozenge and patch, alone or in combination, failed to help patients with an anxiety history to quit smoking. In the general population, the lozenge and patch, especially when combined, have been very effective in helping patients quit smoking. Bupropion (Zyban) alone, or in combination with the nicotine lozenge, also did not increase cessation rates among patients with a history of anxiety disorders. Further research is needed to identify better counseling and medication treatments to help patients with anxiety disorders to quit smoking," Piper says. Previous research has shown massage therapy increases feelings of relaxation and well-being, relieves stress and anxiety, and lowers blood pressure.